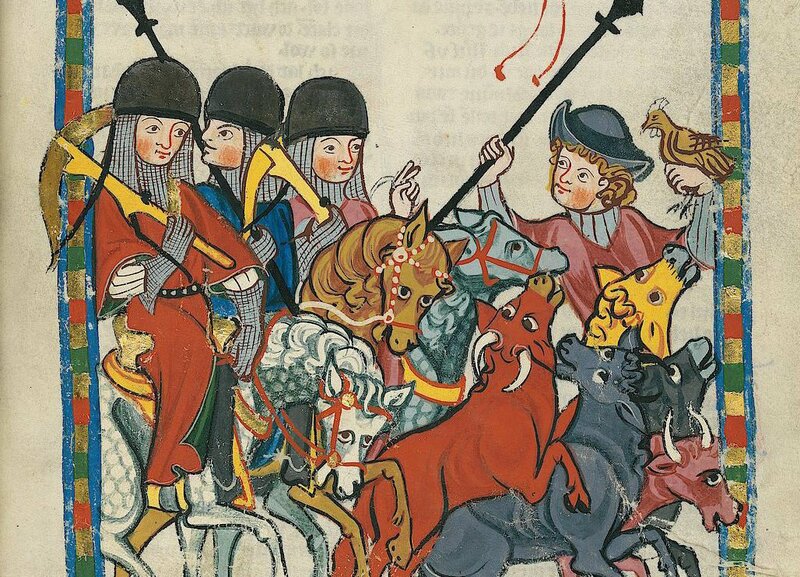 A late 13th century depicting mounted crossbowmen. Manesse Codex, 1310-1340. Heidelberg, Universitätsbibliothek, Cod. Pal. Abstract: This article explores the role of cavalry in medieval warfare starting with it’s origins in the Carolingian age, examining how cavalry was used as a strategic asset within the context of the period on at an operational level, as well as the tactics they were likely to have employed. Due to my interest in both medieval warhorses and mounted combat research into the context and use of medieval cavalry was a natural by-product. Using primary resources such as first-hand accounts and period artwork as well as secondary literature, the article summarizes the findings of my research. Most historians, despite the recognition that field-battles were not the heart and soul of medieval warfare, still judge medieval cavalry by their performance within them. My findings show a much greater concentration on small unit actions, both in armament and organization, with cavalry centred on chevauchées on raiding and subduing castles in swift commando type take and hold missions. The diversity of mounted forces are also examined in the context of the lance and the integration of mounted crossbowmen and bowmen for combined arms tactics. Introduction: This paper presents my thoughts and observations on cavalry warfare in the Middle Ages and my views of the dynamics1 at play. This is not a comprehensive work on medieval cavalry, merely the presentation of a different perspective on the operational doctrine of medieval cavalry in the European theatre from 800 to 1500, using treatises on riding and combat, pictorial evidence from period illustrations, surviving accounts, and secondary sources. Until recently, the centrepiece of medieval warfare for most historians was the field battle, usually dramatic, well documented and seemingly decisive. The most alluring part of the scene is the cavalry charge, well ordered knights in their iron cocoons on heavy draft chargers colliding into their counterparts or infantry, sweeping them off the field. Surely it was this glorious heavy cavalry charge that marked the knight as the apex predator of the battlefield and secured his social standing.